Luftwaffe im Focus series is now twenty-five issues old - Axel Urbanke’s research and interviews reap many archival treasures often not before seen in print. We have read it, and now you can see in our review if this issue is up to his usual lofty standards. We are lucky enough to secure ourselves an interesting new book to read this week. Axel Urbanke’s new “Luftwaffe im Focus” number 25. 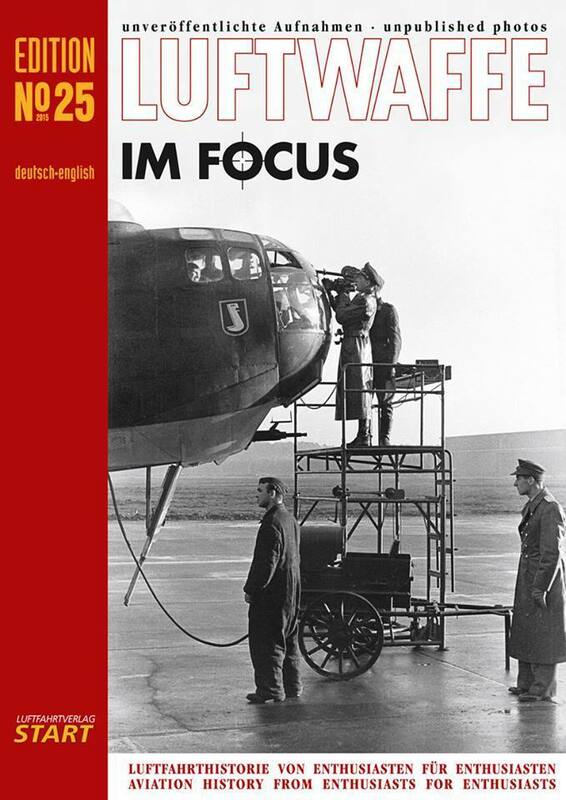 For those of you that are unfamiliar with this series “Luftwaffe im Focus” is a dual German and English language series of books which features the German aircraft and personnel of WWII in picture essay form The form being that the pictures drive the text and the captions that describe the scene and the information behind the pictures. There are several photo essays throughout these books. Sometimes a page or two and sometimes several. Now the thing about these pictures are they are all previously unpublished. That – 75+ years after the events is a hard task with all of the trading and selling of photos and all of the original picture takers often having passed away. The challenge to provide new and before unpublished photos would no doubt be a LOT of work. This is why these books are held in such high regard by the readers. We have held back on giving over too many of these pictures in our review - but to be clear early - the pictures in this book are the stars of the show here. Now into its 25th edition – surely Urbanke and his team must have run out of new photos and information? Let’s hope not, we got to reading the book to see what’s new. The portrait format Soft cover A4 (210x297 mm) is filled with forty-eight pages inside it’s glossy cover. The pages are of a quality feel and you cannot see through them. The book is full of large format pictures that are usually half a picture to a page in size. Most of the stories in this edition are quite short – but I will list everything with a brief description of what they contain on the “shorties” and go a little deeper on the bigger stories. It is a sign of humility and a wish to foster a community on the author’s part that this book always includes not only the editor’s welcome notes but also a reader’s forum. I enjoyed seeing readers converse with the author on something that he might not have known about or may have not had the research at the time of print. I like to see this section of the book as it reminds us even the top experts in the field cannot know everything. In these pages of the reader’s forum we look at some pictures of a “snake” camouflage on Ju 52’s amongst other things. A look at a few of the only 385 close-Support Fw 190F-8 Aircraft from II./SG 2, in 1945 show close up pictures of the pilots and crew of this very popular but not often caught in film bird. In the next section “Bombers” we look at the Heinkel He 177 Greif ("griffin") four-engined, long-range heavy bomber of the not often documented I./KG 50 in Brandenburg. The pictures, mostly of the noose of the aircraft are interesting and the text illuminates a lot more about this bomber which I thought was quite potent before I found out from the text why it was called the “Reich Cigarette Lighter” amongst other things. There are six pages of text and pictures, many showing the workmen servicing these bombers close up and even a propaganda cameraman shooting a flying sequence - while the plane was on the ground! Another cool airframe, the Hs 129 is featured next in “Personal Emblems.” This section is an addendum to the Hs 129 from no#22 Edition of Luftwaffe im Focus (LIF) which featured this aircraft only briefly and in a blurry picture. The mail sent to the LIF team almost straight after issue 22 enabled them to give us a lot more about the correct colours of the aircraft as well as insight to the pilots and the fact that it flew at Kursk. LIF editors also employed one of the best in the business Claes Sundin to do the two colour profiles in this book – nice! We look at more aircraft – especially the tail again as the book examines this emblem on the tail of a He111 the 14th (ice) / KG 55 with a close up of an observer in the squadron that also shows the detail of the emblem on the rudder. One of the other sections that always bring these books to lie is the Colour Photos. Rare but so rewarding, this six-page part of the book features six pictures and a map showing the not often seen in full colour Zellhausen airfield of the Luftwaffe in May/ June 1940. Almost too pretty in the neatness of the scenes, these airfield shots show not only the bombers on the tarmac but the grass and the buildings (some camouflaged as civilian houses) that look incredibly neat and orderly. The pictures make the scenes almost look like a model scene they are so neat. Great pictures that being these scenes to life with the addition of colour. Aircraft in Focus: Before - fate of a training machine JG 105 shows a two seat trainer aircraft of JG105 (Yellow 68) after its pilot forgot to extend the landing gear before attempting to land. The aftermath of the belly landing looks like a costly lesson. These pages include not only the log book entry but also the second of the excellent profiles (of yellow 68) by Mr Sundin. Next we examine the defence from a fighter-bomber attack of the crew of a Ju-88 of the 2. Staffel Fernaufklärungsgruppe 122. The certificate from a senior officer recollecting the attack and escape of the crew is an interesting find, as are the pictures of the unit’s aircraft and pilots celebrating the 200th sortie of the gruppe. It is rare to see the werk & factory code numbers on the nose of a Luftwaffe aircraft and we do see just that in the next page “Unusual: With Stammkennzeichen and plant number on the nose” is a picture of a He 111E with these unusual markings. One of the better segments of these books is the “Photos with a Story” section. This edition showcases a Dogfight over Calais on the 6th of May in 1941 with several great pictures of the aftermath of an action over the channel. Ten pages in all featuring both the Luftwaffe Bf-109F’s, the pilots of the British attackers before the mission and the aftermath of the fighting with the downed Spitfire with a broken back after the belly landing on the French coast. Great insight to the battle and the aftermath where the British survivor of the attack met the German airmen who faced them and a note that tells of the fate of the major players is interesting as well. This is always my favourite part of the LIF books and I liked this story a lot as well. Great pictures here especially too. Next, in a couple of pages headlined “Technology & Equipment” we see some shots of the single winged Arado AR 96 with Sturzflugbremsen (dive brakes.) The author could not be certain why these aircraft had dive brakes installed but there are assumptions and some pictures showing them anyways. Next we go to Afrika with no 4. (H)/12 to cover the 500th operational softie of that short lived unit. Bf-110 lovers will like this as we see lots of shots of their crew receiving their plaque (and some champagne) to mark the small but notable milestone. It is rare to see pictures of this unit because of the short time it was actually in service. Normally capturing the life and demise of flyers, this issue’s “Fates” section featured a soldier who’s death will never e on record, except maybe here. The dog of Lt/ Wickop was named "Bolz" – It seems he knew everyone in the 3rd Staffel of JG 52 and several great pictures around the airfield of this Staffelhund are seen on these two pages. The last page sees some seaplanes of the Luftwaffe. One German and the other a Waco seaplane serving with the red cross organization. A short history of the photographs is given here. Another title and another winner from Urbanke – well done again on this issue. Thanks to the people at Luftfahrtverlag-Start for sending this book to us to read and review. 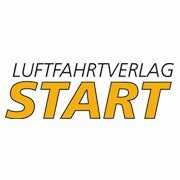 It is available now directly thru the Luft-Start website.